There’s more to October than the weather getting cooler, Halloween, and then the countdown to Thanksgiving and Christmas. October is also Breast Cancer Awareness Month. I’ve known a few acquaintances and parents of friends who have been diagnosed with breast cancer ever since I can remember. I already knew about some of the implications of a diagnosis, but I never truly understood the emotions of one or the aftermath that may inevitably come along with it, until my grandma was diagnosed last month. This post is for you grandma. But it’s also for anyone out there who has been diagnosed with breast cancer, or whose life has been impacted by someone who has. 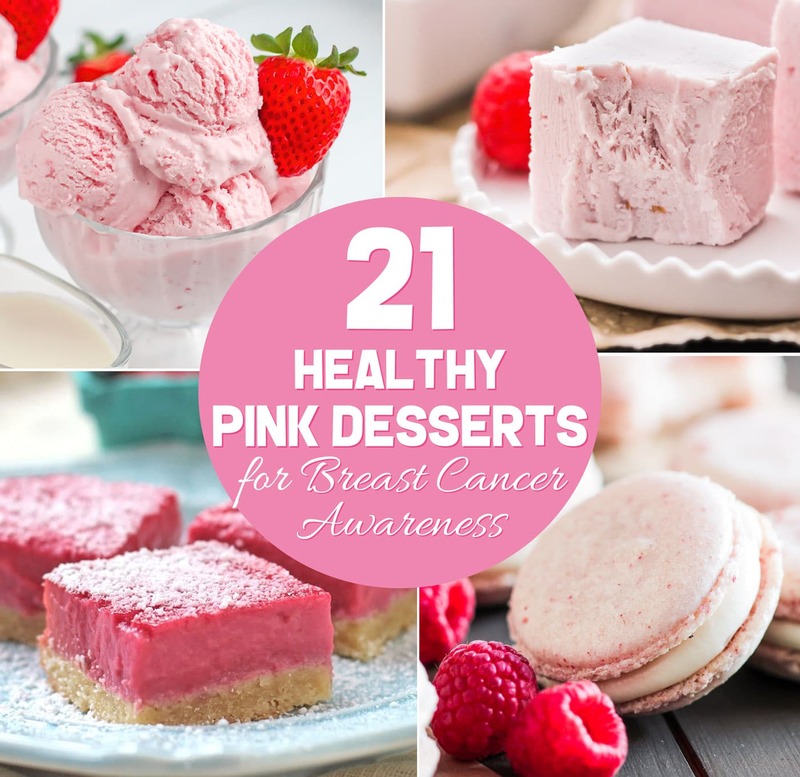 We’ve all seen the symbolic pink ribbon to signify breast cancer awareness, so I thought I’d round up all of my healthy pink desserts into a post. Make something pink for a friend, a family member, a neighbor, a school convention, a fundraiser, or just for yourself! This Strawberry Cheesecake Dip is creamy, smooth, satisfying and jam-packed full of fresh strawberry puree. It has all the flavor of a decadent cheesecake, just in the form of a dip! Oh, and it has only 70 calories, 1.5g fat, and no added sugar! Perfect for dipping whole grain graham crackers, juicy strawberries, or spoons alone. Check out the other flavors too: Chocolate, Blueberry, Apple Pie, Red Velvet, Oreo, Pumpkin, and Matcha! You gotta try the Matcha and Cake Batter variations too! What’s fluffy like a cloud, voluminous like whipped cream, and as delicious as ice cream? 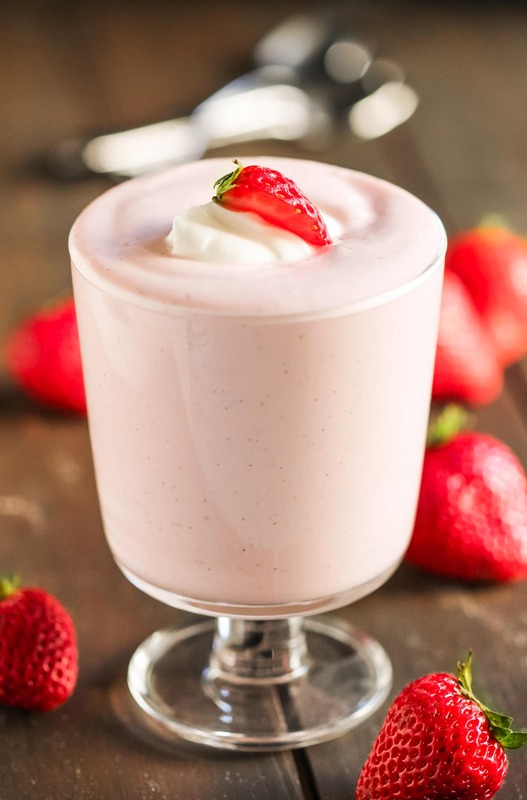 This Strawberry Protein Fluff! With only 65 calories per serving, it’s refined sugar free, low fat, high protein, and eggless too. I made a Blueberry variation too! Yep. Your two favorite treats combined into one! 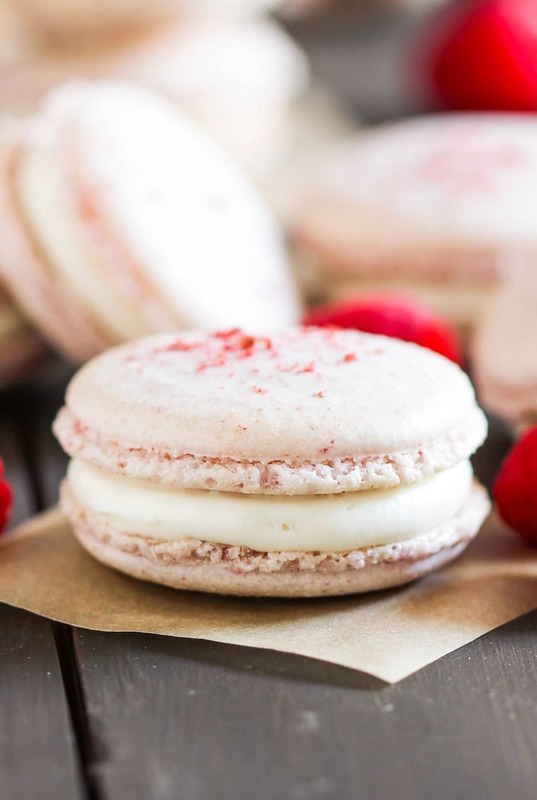 These Raspberry French Macarons are sweet, addicting, and packed with raspberry flavor, you’d never know they’re made without bleached white sugar, artificial flavorings, and artificial food dye! These bite-sized treats are all natural, low fat, and gluten free. 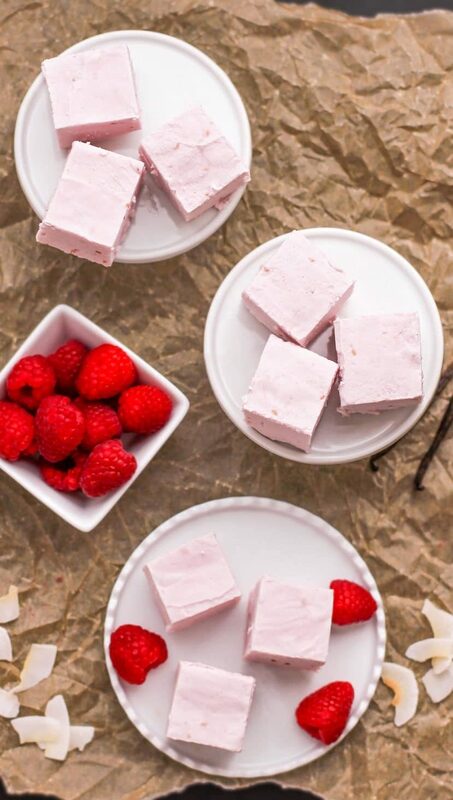 These are one of my most popular pink desserts among my family. I’ve made a few macarons in my day… you’ll love the Funfetti, Matcha, and Black Velvet variations too! This perfectly pink Blood Orange Curd is ultra creamy, sweet, tart, and delicious. You’d never know it’s sugar free, low carb, low fat, gluten free, dairy free, and even VEGAN too! Scoop it over yogurt, layer it in parfaits, spoon some over Vanilla Ice Cream, or dig in straight up with a spoon. Check out the Lemon Curd, Key Lime Curd, Peach Curd, and Raspberry Curd too! 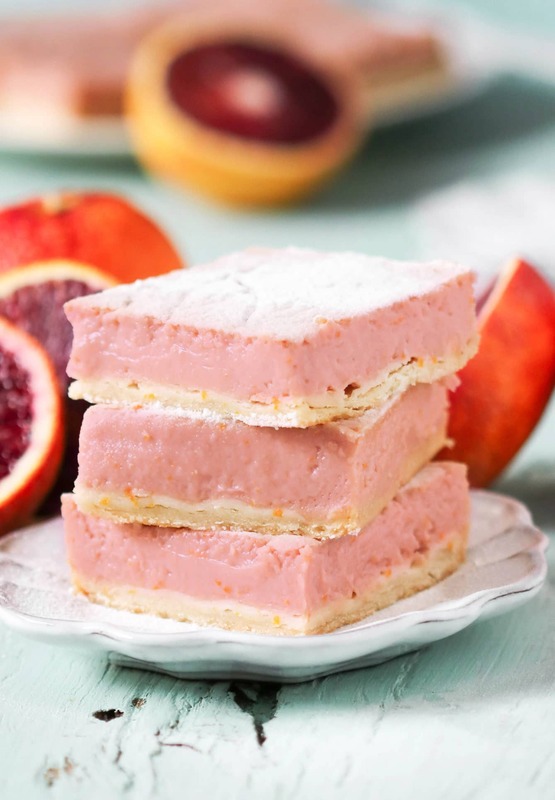 These Blood Orange Bars are sweet, tart, refreshing, and delicious, you’d never know they’re lower calorie and lower fat than those typical bakery Lemon Bars. Better yet, these are made without any added butter, oil, or sugar. If you like Lemon Bars, you’ll love this recipe! Give the Lemon Bars a try too! 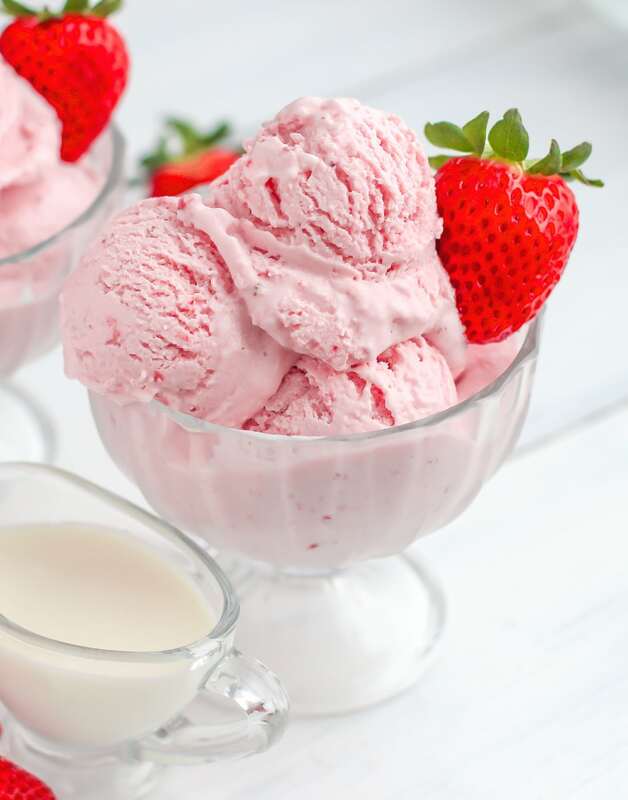 Pink ice cream? Yes puh-lease! When you want a healthy breakfast but also something to satisfy your sweet tooth, try this Raspberry Blood Orange Chia Seed Pudding! 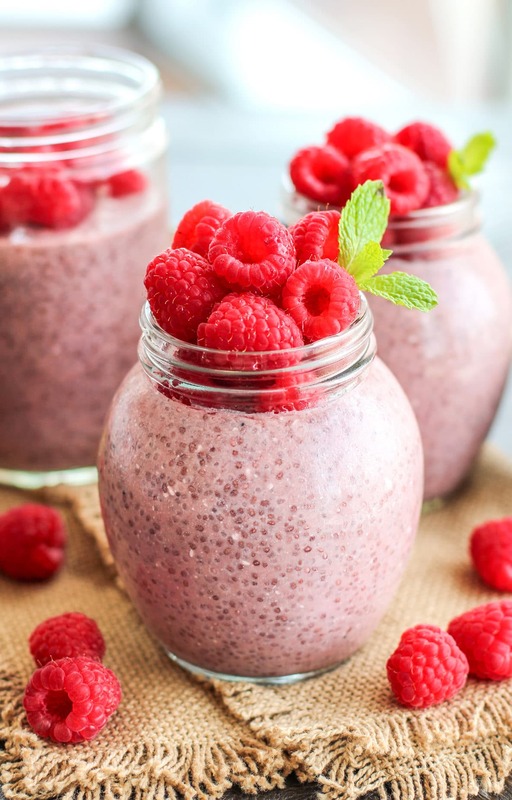 If you love chia pudding, then you’ve GOT to try these flavors too: Chocolate, Chocolate-Banana, PB&J, Matcha, Cherry-Vanilla, Apple Pie, and Ginger-Peach. 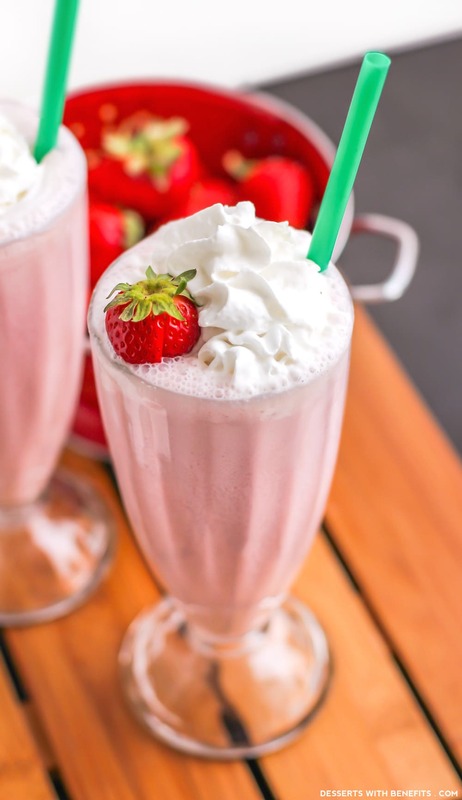 Those super sugary Frappuccinos from America’s favorite coffee shop will weigh you down and make you feel tired, but not this Healthy Homemade Strawberry Frappuccino! 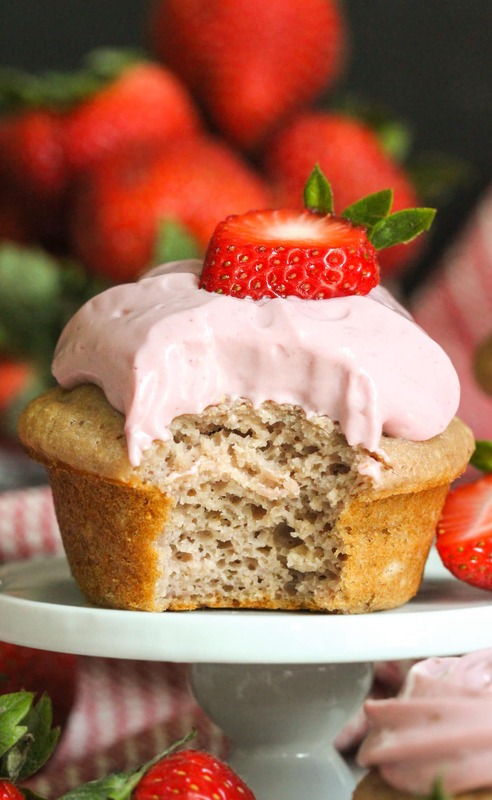 Indulge in all the strawberry shortcake flavor your heart desires (for breakfast!) with these Strawberry Shortcake Overnight Oats recipe! If you’re as obsessed with overnight oats as me, definitely add these recipes to your list too: Gingerbread, Caramel Macchiato, Oatmeal Raisin, Cake Batter, Banana Bread, and Nutella. Even though this is a cold treat, it will bring back memories and make you feel warm and fuzzy inside. 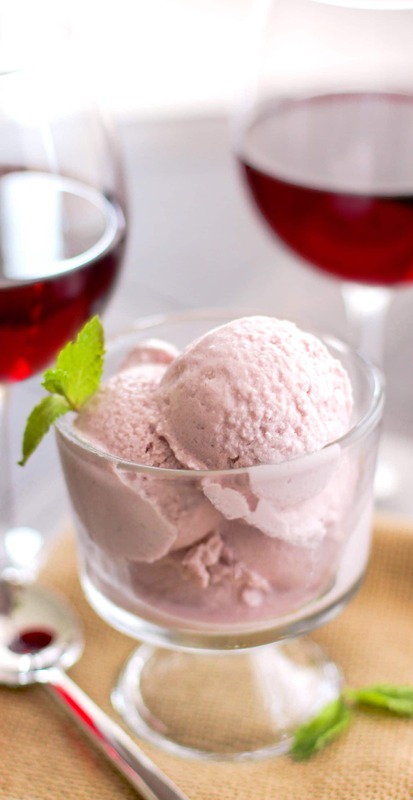 This recipe is 1 of 5 delicious and healthy ice cream recipes in my Naughty or Nice Cookbook! These cupcakes are light, fluffy, moist, and delicious. Plus, they’re whole grain so they’ll fill you right up! You’ll be satisfied with just one instead of a whole tray. Like Lemon Bars? 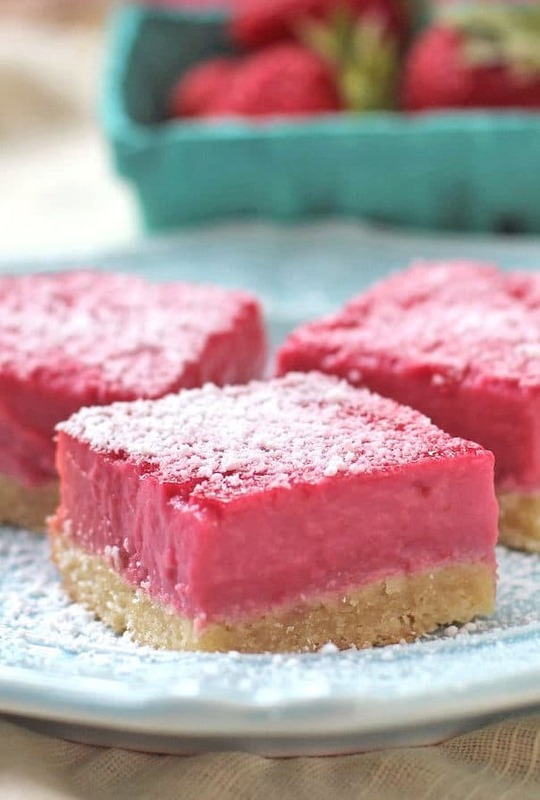 Then these Pink Raspberry Lemon Bars will make your day! Check out the Blueberry Muffin, Pumpkin, Matcha, and PB&J variations too! 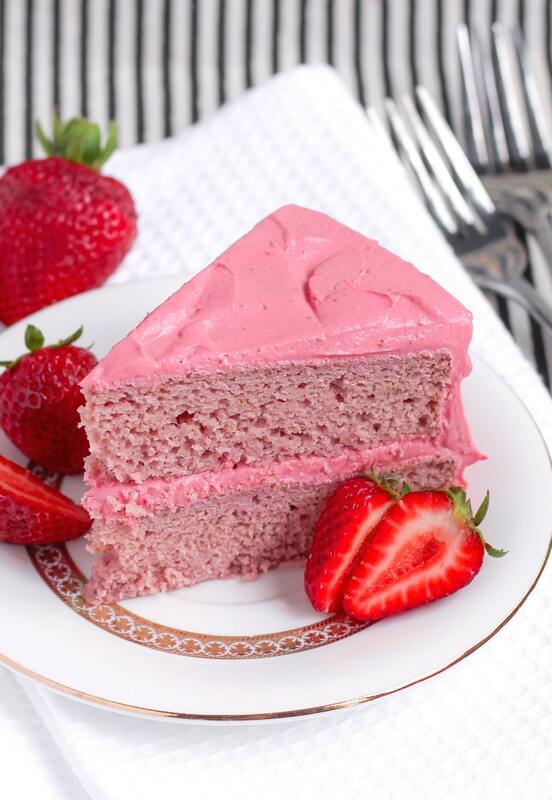 This Healthy Strawberry Cake is whole grain, sugar free, low fat, high protein, and high fiber, and topped off with a HEALTHY frosting?? Ohhhh yes. The complex carbs in the oats, along with the protein and healthy fats, all take time to digest, meaning these bars will keep you fuller for longer (no more grazings from your cravings). 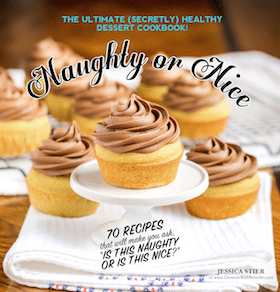 This recipe is 1 of 11 delicious and healthy cake recipes in my Naughty or Nice Cookbook! Everybody loves fudge. And healthy fudge? HECK YEAH! Check out the Matcha and Blueberry Coconut variations too! So whaddya say? Are you gonna join me in having a pink October to honor Breast Cancer Awareness Month? Make one (or all!) 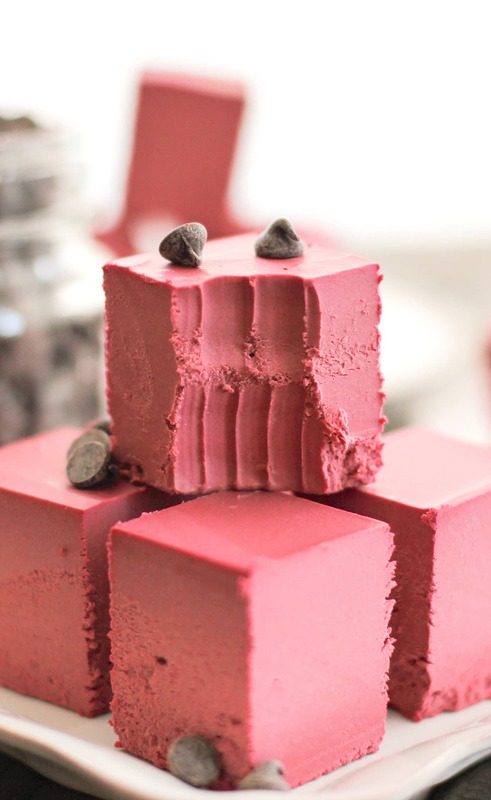 of these 21 healthy pink desserts for a loved one or just for yourself. From cake to cupcakes to fudge to ice cream to blondies to milkshakes, you’ll be sure to find a favorite or two. And best of all, they’re all recipes you can feel good about eating! 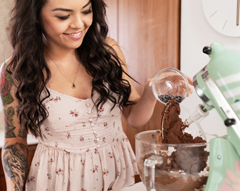 There are options for everyone, whether you eat sugar free, low carb, low fat, high protein, high fiber, whole grain, gluten free, dairy free, vegan, paleo, or keto, there’s a recipe for you. Hope you enjoyed this list! Pink has never been my most favorite color (not really the girly type…) but if it’s desserts that are pink, then let me at ’em! All of these sound amazing and I think it’s a neat way for us to remember that October isn’t just the month of Halloween and all things pumpkin spice. Hi Jess, Wishing your family strength and your grandmother nerves of steel to deal with such a stressful and scary disease. Lots of love to you! And, read all the side effects about chemo; it’s really dangerous stuff. Maybe read up on radiation therapy and other alternatives. Chemo kills. 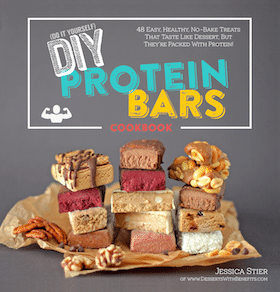 These look great, especially the protein fluff and cake! I genuinely wish nothing but the best for your grandmother, you, and your family. My aunt used to suffer from breast cancer and it was such a struggle to see her in pain. My prayers are with you Jess. I hope one day soon, there will be a cure.